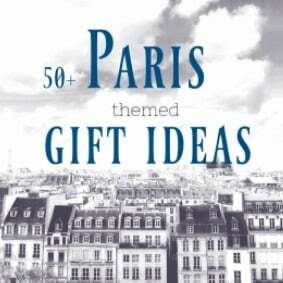 Well, Monceau and Batignolles ARE totally offbeat and non touristy neighbourhoods of Paris. 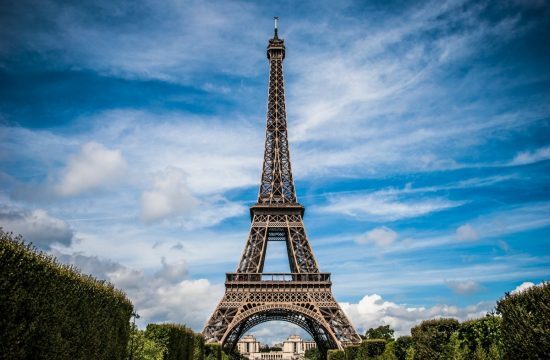 And yet, this Paris walking itinerary starts at one of the most popular landmarks of Paris: The Arc de Triomphe. This landmark qualifies as a starting point for several reasons: first it’s easy to find and you probably will head over there anyway, so it’s done. 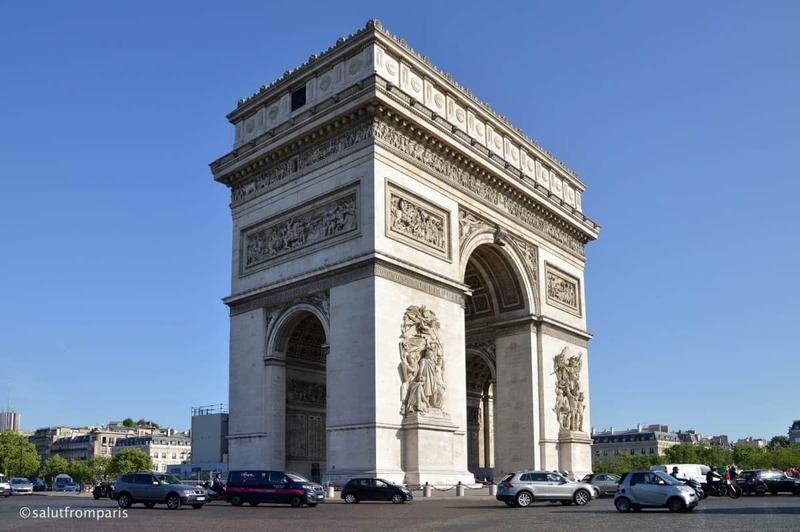 But secondly, the Arc de Triomphe marks one of the most expensive and prestigious area of Paris. You’ll inevitable notice when crossing the neighbourhoods of Monceau and Batignolles, that the city shape changes – the people, the shops and restaurants and of course also the prices are differing immensely on those 3km. 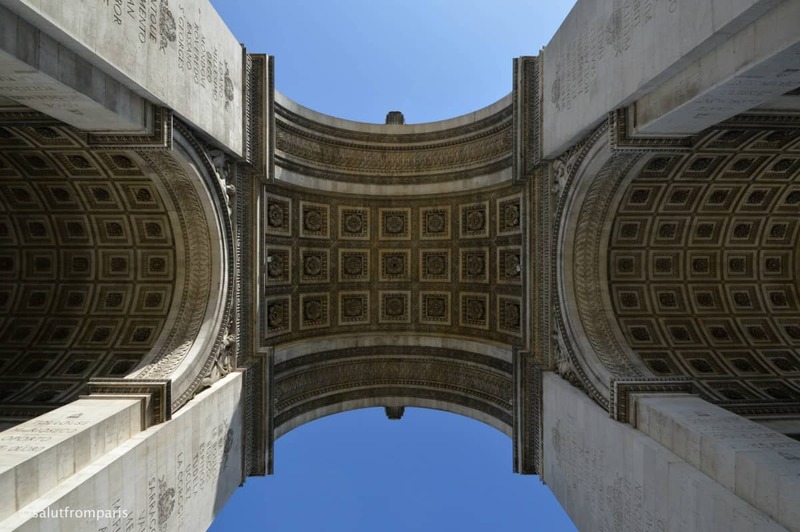 Next to the Eiffel Tower, the Arc de Triomphe is one of the few landmarks in Paris that you simply can’t oversee – even if you’d try, on one point you’ll stumble upon. The giant arch is standing at the top end of the Champs Élysee on the Place Charles de Gaulle Etoile. 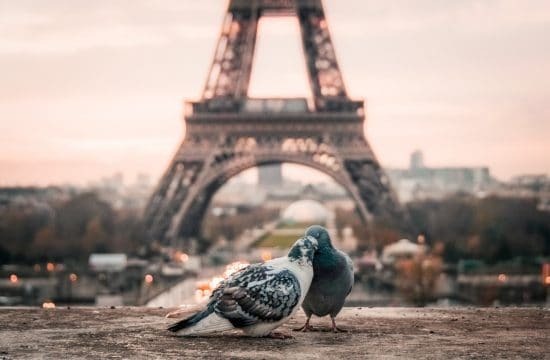 It builds an axis with the Grand Arc at La Defense, the Place de la Concorde and, the Tuileries Garden with the Louvre – on purpose, it’s the Historic Axis. The monument got inaugurated in 1836 and honours those who fought and died for France during the French Revolutions and the Napoleonic Wars. The reliefs that you find on the Arc de Triomphe are memorials of important moments and great battles around the French Revolution and the Napoleonic Era. Just beneath the Arc lays the vault of an unknown soldier. The eternal flame on the tomb burns in memory of all those unidentified deads. A ceremony is held each year on the 11th of November, on Armistice Day. If you want to visit the Arc de Triomphe from close DO NOT cross the round about, like ever! If you come by Metro and not from down the Champs Élysees, the passage to the Place Charles de Gaulle is not too easy to find: it’s on the right side walk of the Champs Èlysees if you walk up to the Arc, on the corner between Champs Elysee and Avenue de Friedland. Most of the time sightseeing busses are stopping just at the entrance – so keep your eyes open for those ones. 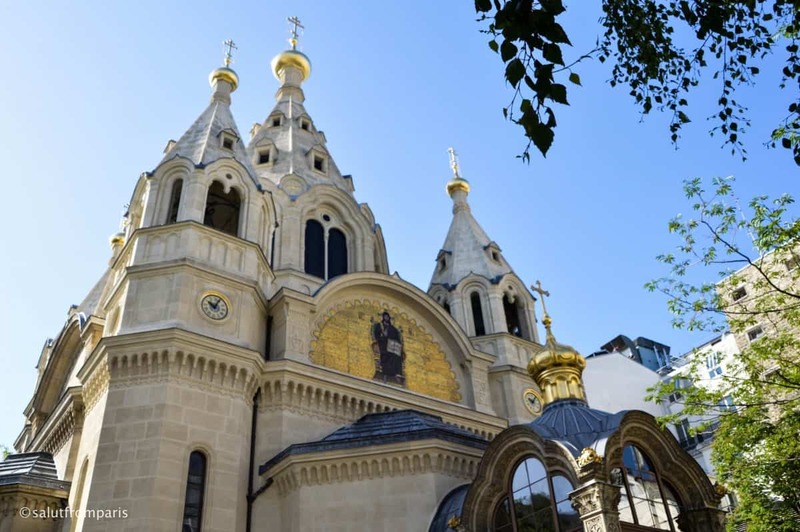 The Russian Orthodox Cathedral in 12 rue Daru was the first orthodox place of worship in France. It got consecrated in 1861. It’s enclosed by a fence but if the gates are open, take a walk around! To my surprise (maybe just me though) it has little vegetable gardens in the back that are totally cute ,but stand pretty much in contrast to the imposing Cathedral. Fun Fact: Pablo Picasso married his first wife, Olga Khokhlova in the Alexander Nevsky Cathedral. 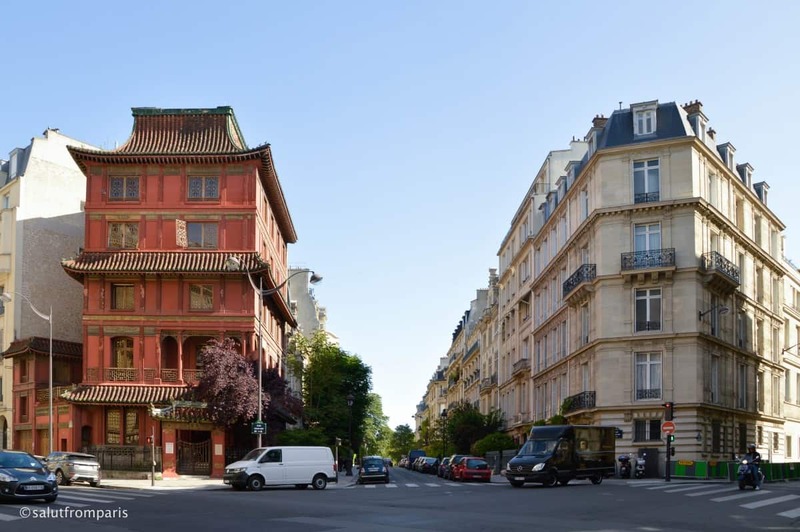 Adjacent to Parc Monceau you can find one of the most fascinating – and surprising – building of Paris: The Chinese Pagoda of Mr Ching Tsai Loo. Mr. Ching Tsai Loo, a collector and dealer of Chinese and Asian art bought the building in 1925. Formerly an hôtel particulier, the house got transformed into the Pagoda -inside and outside- and served as gallery of Chinese and Asian antiques and art. Today, La Maison Loo is a location for private and professional events, photo shootings and conferences. What are the odds! Parc Monceau fits just perfectly into the Parisian cityscape! It’s of course not a fluke: Parc Monceau was the first public park created by Baron Haussmann, the guy who was responsible for the urban retransformation of Paris in the 2nd half of the 19th century. The parc has a lot of unusual features: corinthian pillars, an Egyptian pyramid, a bridge inspired by the Venice and quite a few statues. Today the park comes with playgrounds and a merry-go-round and also (unusual for Paris!) – free Wifi! 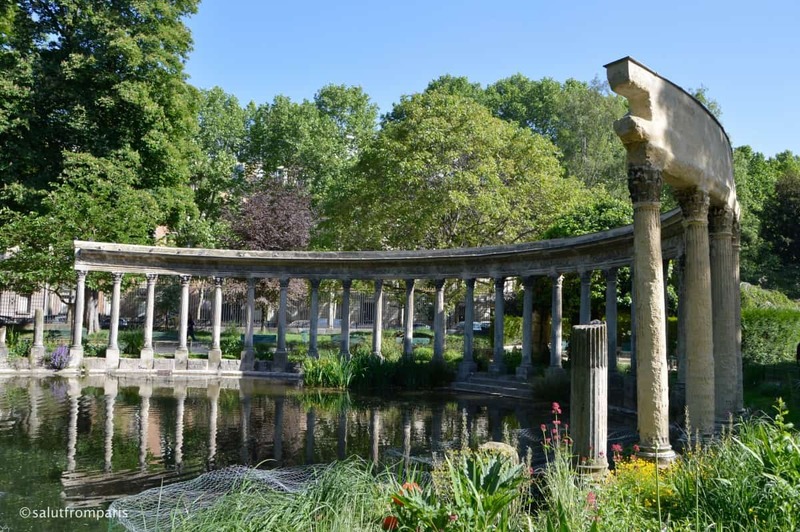 After your little tour through Parc Monceau, leave the garden through the main entrance and head direction north-east. Continue on Rue Georgers Berger until you reach Rue de Lévis on your left. You left the expensive part of town and entered a more village like area of Paris. Rue de Lévis is is a pedestrian market street with delis, fruit and vegetable stores, butchers, bakeries and a few clothes stores. Good for you (unless you are very rich): the stores around Rue de Lévis are more affordable than the shops we’ve seen so far. Etam vs. Givenchy. 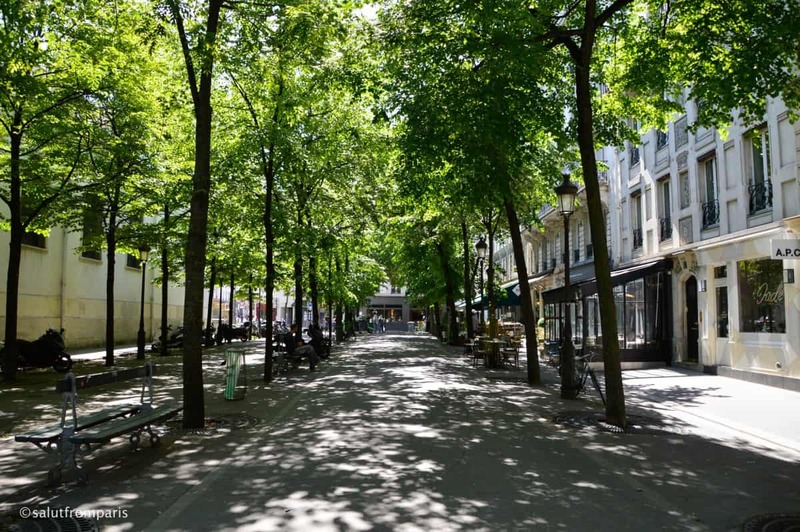 The area between Rue de Lévis and Batignolles is an excellent place to have lunch. 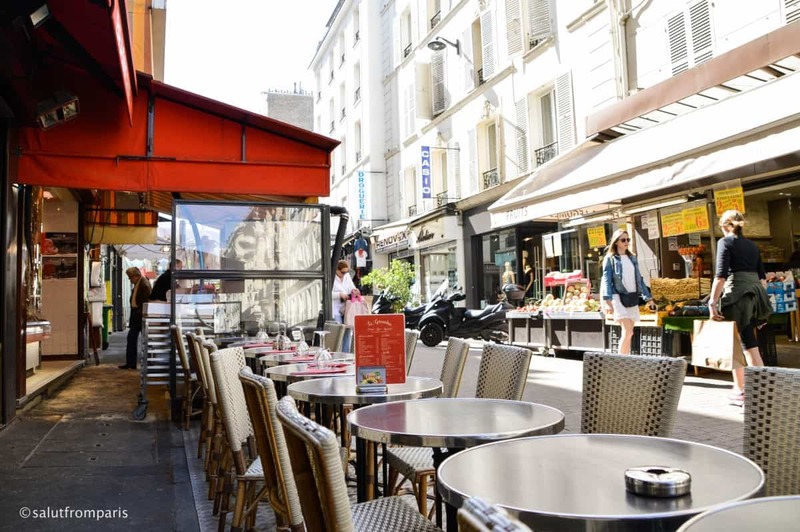 The (admittedly) labyrinth like streets of Batignolles are full of little restaurants that – far from the touristic Paris – are mainly frequented by locals – almost an insurance of quality. Le Tourbillon this bistro is very popular amongst locals. The menu is traditional and seasonal, the prices reasonable – it’s not a budget option though – but check here if a 20% reduction is available! Do you need more ideas? Restaurants that aren’t french or something vegetarian? Check here to see all options! or check out our post about the best vegetarian restaurants in Paris! Not too far from the Rue de Lévis lays the Parc de Batignolles. It’s roughly a 10 to 15 minutes walk and one of the entrances of the Parc de Batignolles is situated just after the quite impressive railways leading to St.Lazare. 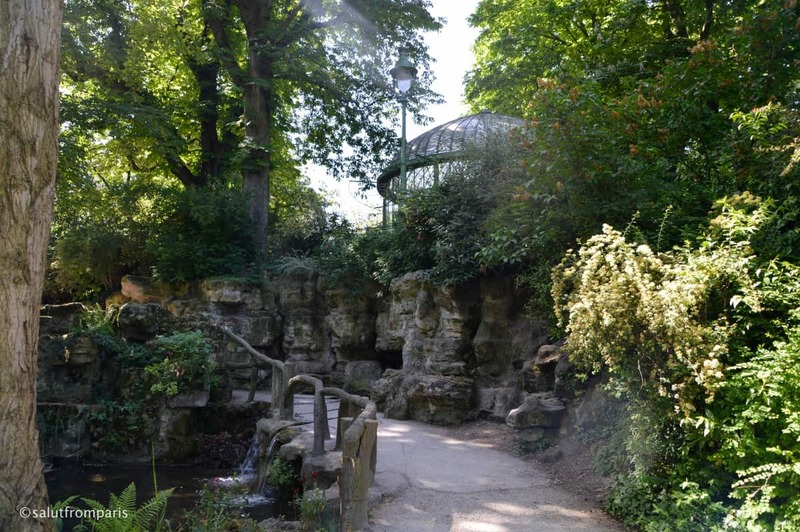 However, the Parc itself is an english style garden with merry-go-rounds, a duck pond, a little waterfall and a colourful composition of flowers of all kids. 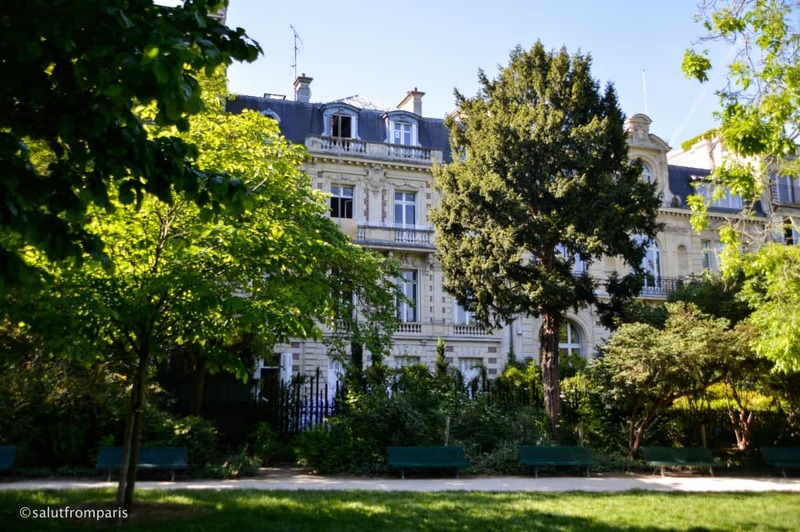 When leaving the Parc de Batignolles by the main entrance, you’ll notice immediately the nicest feature of the Batignolles area: little restaurants, boutiques and cafés. 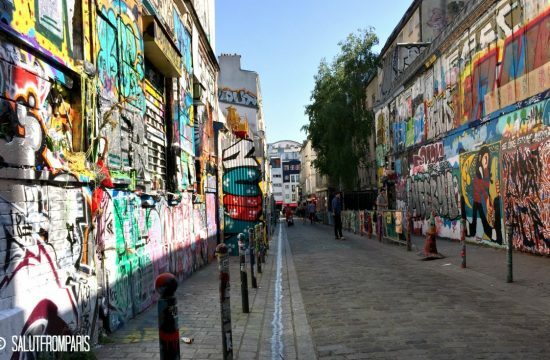 It’s a neighbourhood for residents and one of the few places in Paris, where you won’t meet many tourists – if any! If you up for food markets, there is a nice covered food hall close to the Metro station Brochant. so, you walked quite a bit by now but if you are up for more, Montmartre is just a stones throw away!! 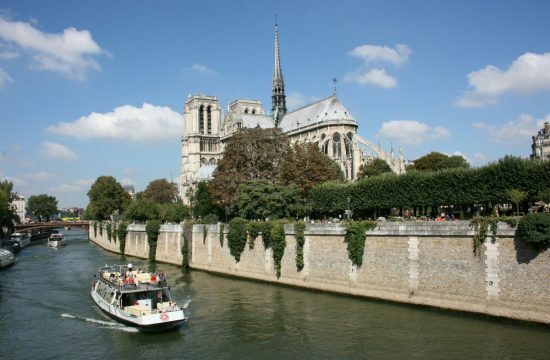 Check out our full Montmartre guide to know more!